Roman Catholic Identity: The Death of a Priest...Alone? In the latest installment of his Without a Doubt column entitled The Death of a Priest, Bishop Tobin of Providence talks about the recent passing of four priests in his diocese and offers a reflection on the lasting legacy of faithful priests. It is worth a read. He aptly points out that "when a priest dies, he doesn’t leave a lot behind, at least not in earthly terms. He leaves no children or grandchildren, often not a lot of material possessions, and not even a large hole in the fabric of the Church. The mission of the Church continues beyond the life of any one individual; other priests went before him, and others will come after him to carry on the work of the Lord." In the eyes of the world a priest leaves no lasting legacy on the world. What the priest of God does leave behind however, "is far more valuable than the passing things of this world. He leaves behind the witness of a good life that was informed and directed by the love of God. He leaves behind an example of generous sacrifice and commitment that made a positive difference for others. And he leaves behind a legacy of faith, hope and love in the people he served, planting in them the very seeds of eternal life." This post mortem analysis (pun intended) is well articulated, but it does not mention the penultimate stage of life...the dying. 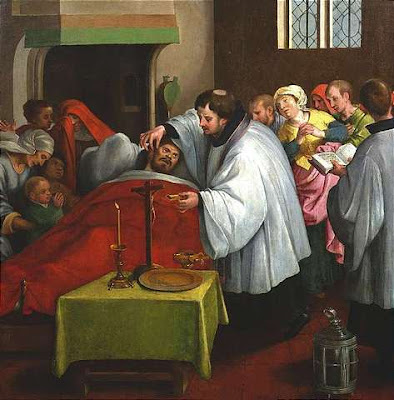 Perhaps the greatest sacrifice of priestly celibacy is not the mastery of the lower virtues but the privation of children-and in particular the blessing of children and family at one's bedside while dying. But just think about it. What a blessing it is to have family and especially your children at your bedside, sitting with you, praying for you and on your behalf. Religious priests (by this I mean those priests who are members of a religious order or congregation) have the blessing of community life. When they approach the end of their journey, they are comforted by their brothers and have their community to pray with them and for them. But what about the diocesan priest? He most likely would have served alone as pastor, retired alone, and would have been predeceased by his parents. I have witnessed this first hand and have a friend who is presently experiencing this with his uncle, who is a priest. Each night he visits to pray a rosary and read Compline aloud. The discomfort and restlessness subsides, only to resume after the Nunc dimittis. Wouldn't it be a blessing, a corporal work of mercy, fraternal charity for his brother priests to pray at his bedside for just an hour a day. In a diocese with some 400 priests, it would require just one hour--once a year--to pray beside a dying brother with the knowledge that this would be reciprocated when it is your time. Bishop Tobin writes: "In his sacramental ministry a priest has welcomed individuals into the Church and touched them with the grace of God in the Sacrament of Baptism. He has celebrated Holy Mass a thousand times, offering thanksgiving to the Lord on behalf of God’s People and making God present among them in the Eucharist. 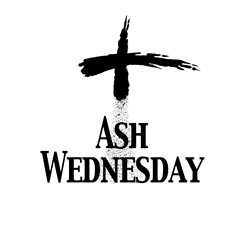 He has forgiven the sins of God’s people, freeing them from guilt, and giving them the blessed opportunity to make a new beginning. He has prepared couples for Holy Matrimony, witnessing their vows on behalf of the Church and bestowing God’s blessings as they begin their journey together. He has accompanied frightened, vulnerable people during times of illness, anointing them with oil, assuring them of the presence and compassion of Christ. 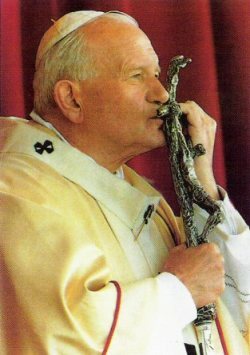 He has celebrated many funerals, sending holy souls to eternal life with the prayers of the Church and giving comfort and hope to those who mourn the loss of their loved ones." They deserve a better send off. In this Year for Priests: Pray for all living priests that they renew their commitment to Christ's Sacred Heart; pray for priests who approach the end of their life that they may know the comfort of fraternal love; and pray for those priests who have died that their lasting legacy may gain them eternal reward.